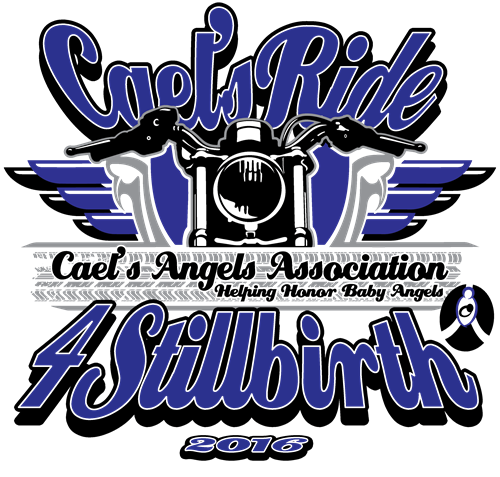 Please join us for Cael’s Ride 4 Stillbirth Awareness and Pig Roast June 11th, 2016. We will start the ride at Maple Grove Hospital, 9875 Hospital Drive, Maple Grove, MN 55369 Southeast side parking ramp lower level off Maple Grove Parkway. This is the birth place of Cael and many other baby angels. They are the gold standard in dealing with stillbirth and have graciously offered to have us start here. From there we will ride west, north, east, and south to some nice locations for some socializing, food and good fun. Virtual Ride $15* For those without rides we will be recording the ride via Action Cam so you can join in on the action. Register by May 1st to order your official ride shirt and have it the day of the ride. Just $20 each. Pins and patches are also available for pre-order at time of registration. Kick stands up promptly at 10:30 am for all that want to ride out as a group. This ride uses road guards to stay together. We will have a pig roast at the final location. We are planning a raffle and other stuff at the last stop so hang around win some stuff and visit. 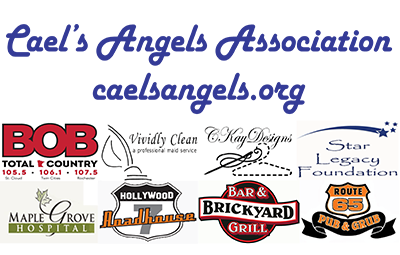 All donations and proceeds from this run go directly to the programs Cael’s Angels Association offers to aid bereaved families of stillbirth. No one at Cael’s Angels Association takes a salary so all donation got to fund our projects. Thank you for your support for the 26,000 families stillbirth effects in the US each year. **All plans for raffles subject to change based on registration numbers and items donated.